The S-400 Triumf anti-aircraft system system at the Ashuluk training ground in the Astrakhan Region, where the Combat Commonwealth international military exercise is taking place. Leading-edge Russian technology will be at the heart of South Korean SLBMS and air defense systems aimed at neutralizing North Korea’s missile threat. Advanced missile technology that went into Russia’s deadly S-400 Triumf missile defense system is powering the South Korean ballistic and air defense missile programs. Partly in response to North Korea’s deployment of nuclear missiles and submarines, Seoul has beefed up its armaments industry with generous doses of Russian technology. Among the most critical projects are a submarine-launched ballistic missile (SLBM) and the M-SAM Cheolmae-2 medium-to-long range surface-to-air missile. South Korea hopes to one-up the North, which is applying the technology of the Russian S-300 missile to its SLBMs. According to Lee Choon-geun, senior researcher at the Korean Institute of Science and Technology, South Korea “uses more stable technology” from the S-400, which is a generation ahead of the S-300. The S-400 is a highly advanced missile with embedded cold-launching technology. Cold-launched missiles are critical for South Korea’s brand new 3000-ton Jangbogo-III submarine. During a cold launch, the rocket engine fires after the missile reaches a certain altitude. This mechanism allows ballistic missiles to be fired from under water, thereby making it possible for the submarine to remain submerged. A high-ranking military official told Korea Joongang Daily the development of the new SLBM is expected to be completed by 2020. The Daily reports the South Korean Navy’s arsenal currently includes the submarine-launched cruise missile (SLCM). However, as North Korea’s efforts to develop SLBM technology has almost reached completion, the need within the South Korean military to initiate a response has become urgent. The M-SAM Cheolmae-2 is designed to engage both ballistic missiles and aircraft. If the South Koreans are able to achieve anything close to Russia’s S-400, they will have a fearsome weapon with which to take on the North’s armory of ballistic missiles. 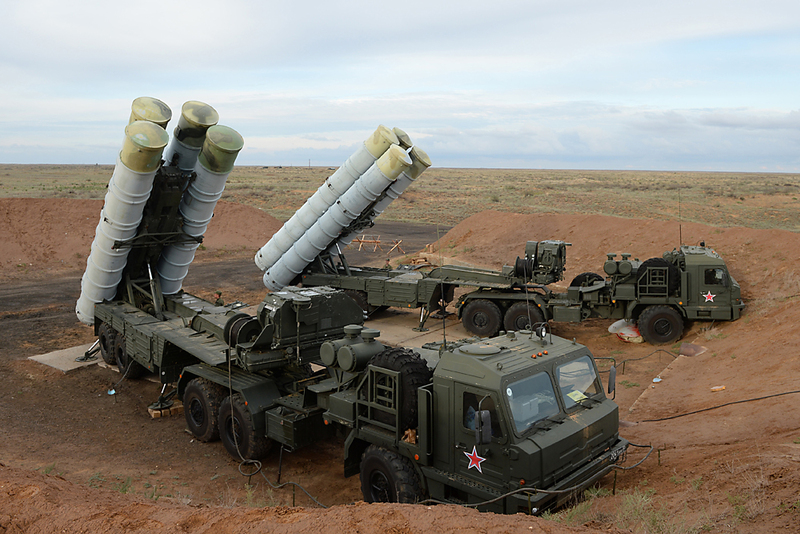 With a tracking range of 600 km and the ability to hit targets 400 km away at a blistering speed of 17,000 km an hour – faster than any existing aircraft – the S-400 is a truly scary weapon. First deployed by Russia in 2010, each S-400 battalion has eight launchers, a control centre, radar and 16 missiles available as reloads. “Given its extremely long range and effective electronic warfare capabilities, the S-400 is a game-changing system that challenges current military capabilities at the operational level of war,” Paul Giarra, president, Global Strategies and Transformation, told Defense News. For decades, South Koreans have lived in fear of North Korea’s missile threats. The new generation missiles will finally allow South Korea to close that window of vulnerability. As a key US ally and loyal customer of American weapons, South Korea is an unlikely buyer of Russian weapons. In fact, Seoul’s defense trade with Moscow grew in an unlikely way. In 1991, after the Cold War ended, South Korea extended $1 billion in cash loans and a $470 million commodities loan as a reward for Moscow’s recognition of South Korea. However, the Soviet Union went under the same year. Unable to repay the loans in cash, Russia began supplying what it had in plenty – military equipment such as T-90 tanks, infantry combat vehicles and helicopters. The first two arms-for-debt deals – all known as Brown Bear – were inked in 1995 and 2003. The S-400 isn’t cheap – it costs around $500 million per battalion. That’s why only countries with deep pockets like China and India (which is negotiating a deal) will be fielding this weapon. However, Seoul did not want to keep importing readymade weapons platforms, even if the South Korean military was thrilled with the high-octane Russian military gear. There were two reasons for this. One, since Seoul is closely integrated with America’s military ecosystem, Russian weapons are not easily integrated. This is, of course, an old American ploy to edge out rivals and increase the market share for its own weapons. At any rate, the South Koreans decided to stop wholesale purchases of Russian weapons. Secondly, the South Koreans became more ambitious. They wanted to build a world class military industrial complex in step with their dominance in a number of commercial sectors. The government's Defense Reform 2020 initiative is aimed at developing the country's indigenous capabilities via defense R&D. The transfer of cutting-edge S-400 technology is part of this plan. The S-400 isn’t cheap – it costs around $500 million per battalion. That’s why only countries with deep pockets like China and India (which is negotiating a deal) will be fielding this weapon. But to the credit of the South Koreans, they beat both the Chinese and the Indians to this prized weapon by more than a decade. To be sure, Russia could face some hiccups over the transfer of such leading edge weapons. South Korea’s close alliance with the United States means there is a chance of sensitive Russian technology ending up in America’s hands. One of the reasons Russia is not unduly worry about US stealth fighters such as the F-22 and F-35 is that the Russian air defense system is considered impregnable to these aircraft. The S-400 is one of those wonder weapons in the Russian arsenal that have neutralized the threat from fifth generation fighters. However, if South Korea passes on the secrets of the S-400 to the US, it would compromise Russian –and Chinese – air defense to some extent. For instance, the 1976 flight of a Soviet defector in the top secret MiG-25 fighter forced Russia to produce new radar and missile systems for the aircraft at considerable cost. Secondly, if South Korea integrates the S-400-based M-SAM into the American missile defense system, Russia could potentially have to face-off its own missiles in any future conflict with the US. But with the next generation S-500 missiles coming online, Russia will not lose too much sleep over any potential leak of secrets. For, once you export something, it’s a given that your competitors will get their hands on it sooner or later.